Stunning new user interface with built in infrared enables Crave in-room tablets to redefine the hotel TV control experience. London 13 November 2017. Crave Interactive, the world leading developer of cloud-based digital guest service solutions for hotels, today announced a breakthrough in hotel TV controls with the combination of a stunning new software interface and built in infrared in its bespoke tablets, allowing guests to browse and select channels on any brand of hotel TV in a slick and informative manner. This innovation is a world first and is unique to Crave’s digital guest service platform. Not only does the user-friendly interface enhance the guest experience, it solves problems hoteliers face in maintaining traditional remotes, with battery replacements, losses and unhygienic hard switches. Crave TV Control integration has previously been included with a larger full room control system offered by high-end hotels, and used by more than two-thirds of all guests. 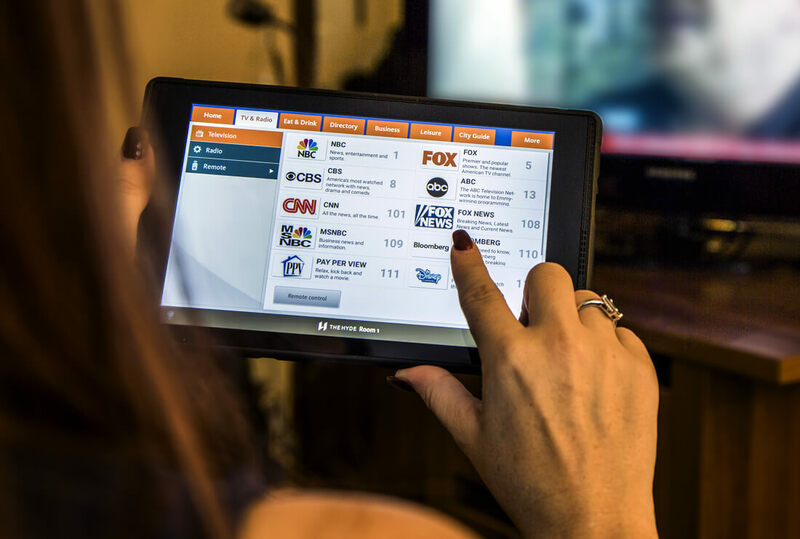 By adding TV Controls directly in it’s in-room tablet solution, Crave now brings this widely appreciated feature to the entire hotel market at no additional cost. 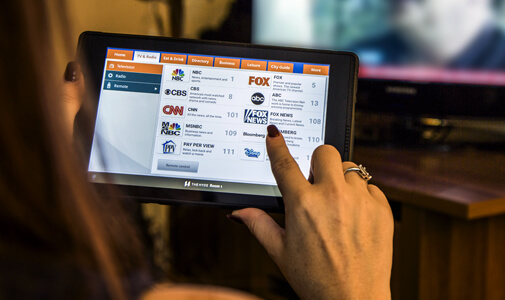 Next PostCrave Interactive Recognized as the World’s Leading Guest Room Tablet Vendor. World Class Digital Hotel Directories.